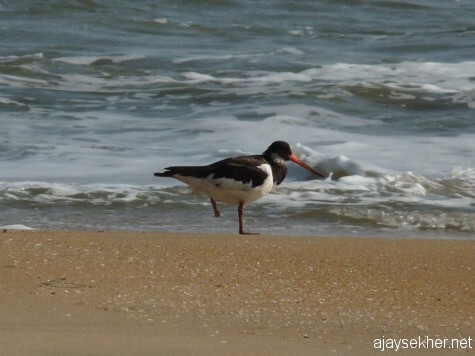 On 20th April 2013 I revisited Chavakad beach at Tiruvatra Puthan Kadapuram to find four Oystercatchers. A few weeks ago I found three of them at the same location and reported it earlier in Keralabirder internet group. The injured bird is still getting along though with a lot of difficulties in movement. 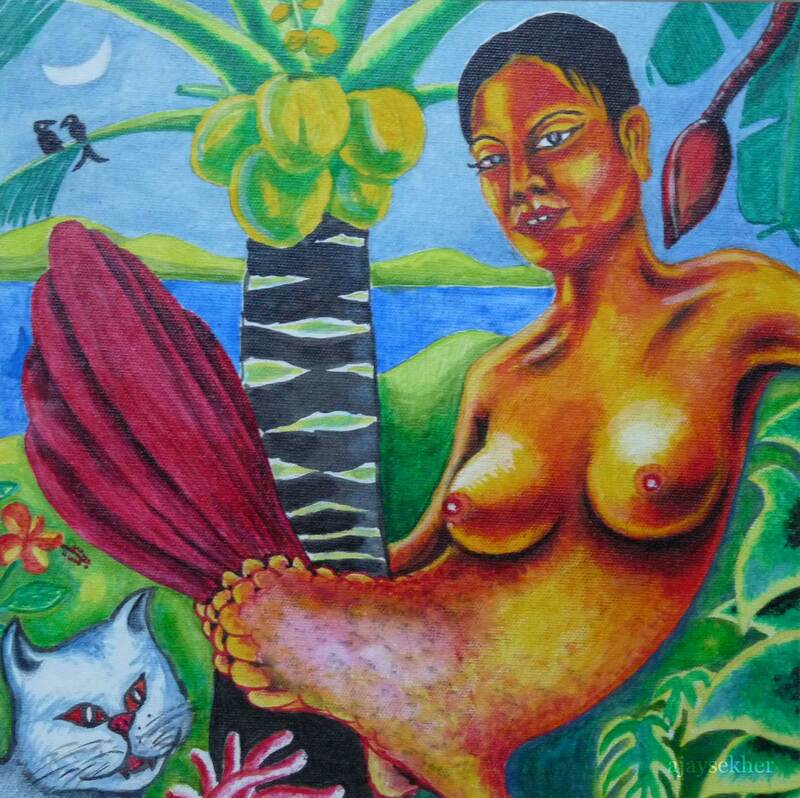 See the snare tightly gripped to the bird”s left toe pulled up to the under belly. 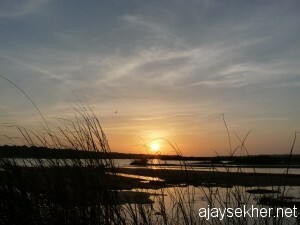 Another shot by Vijesh in summer 2012 a year ago. 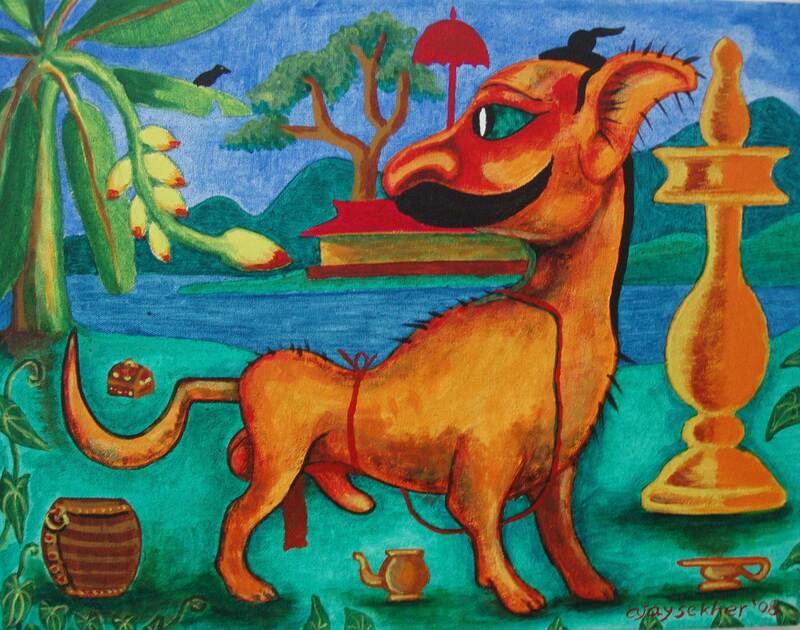 By courtesy of Vijesh Vallikunnu. Meanwhile I got a chance to meet photographer Vijesh Vallikunnu who took its photos a year ago in 2012 summer. Mr Vijesh was kind enough to send me a few photos of the injured Eurasian Oystercatcher in trapped condition with a long pole like snare fixed to its left toe. 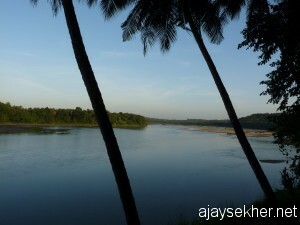 This was taken in early 2012 from Tiruvatra Puthan Kadapuram by Vijesh. This year exactly a year after this take by Vijesh the bird seems to have lost its toe completely and got rid of the snare part. 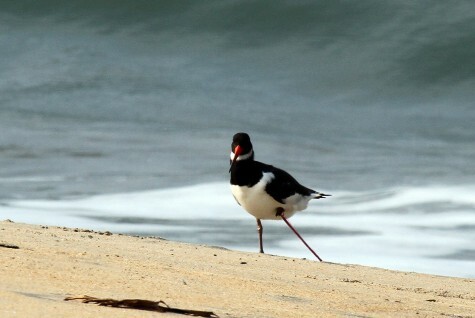 The same bird now without the toe at Chavakad beach. My photo on 20 apl 2013. We can imagine the pain and suffering this beautiful little creature had undergone for over a year now. 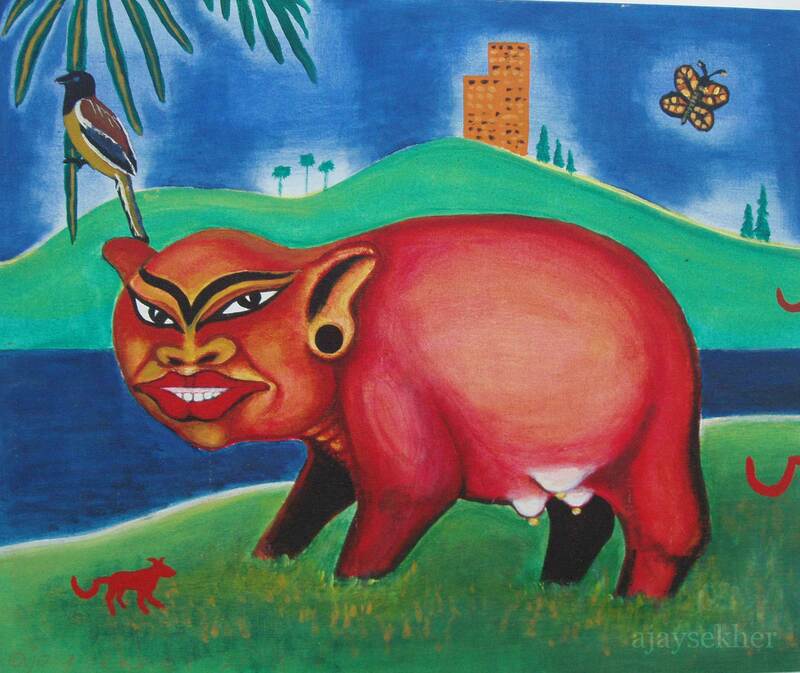 It has gone back to Europe and come back to Kerala again. Will it make it next time in the coming winter? Only time can tell. 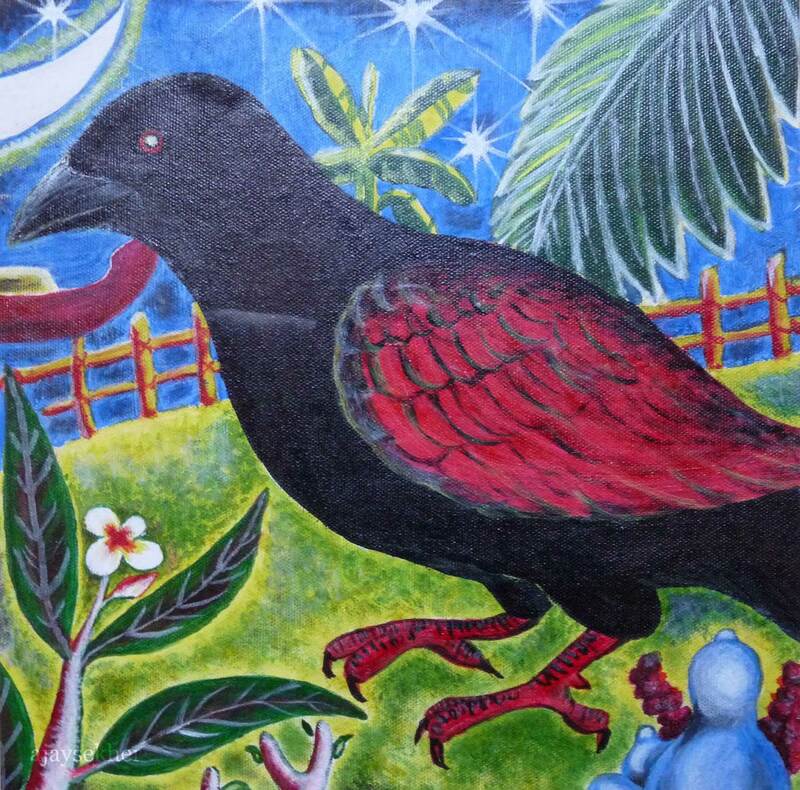 Let us hope for the better and expect this challenged but brave bird in Kerala cost again. 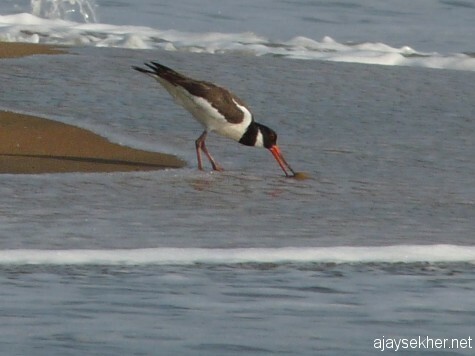 Eurasian Oystercatcher catching an oyster at Chavakad beach, 20 apl 2013. 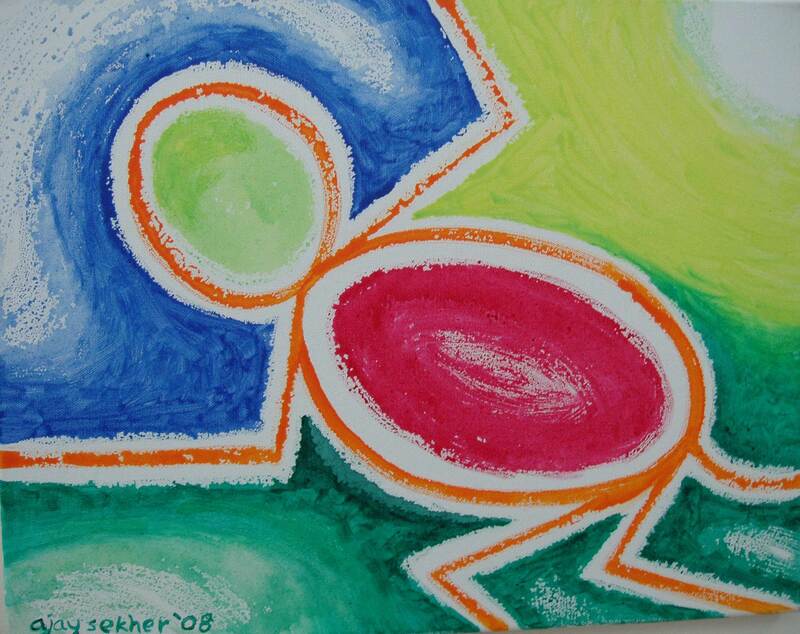 Cracking the oyster shell with the beak at Chavakad beach, 20 apl 2013. Savoring the sweet meat of oyster by removing the shell so ingeniously. 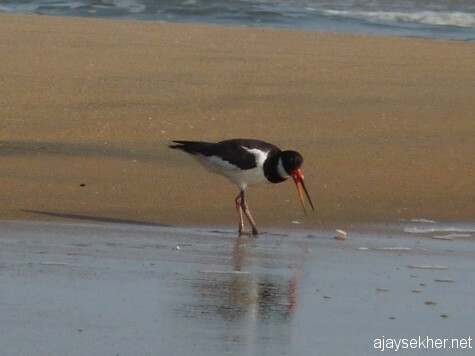 The Oystercatcher at Chavakad beach, 20 apl 2013. Though it has got rid of the big stick like trap part, the injury and open wound seems to be sore even today and the infection may be fatal to its very life. I think experts and specialists can help in this ragard after carefully examining the images here and probably after field observations later. 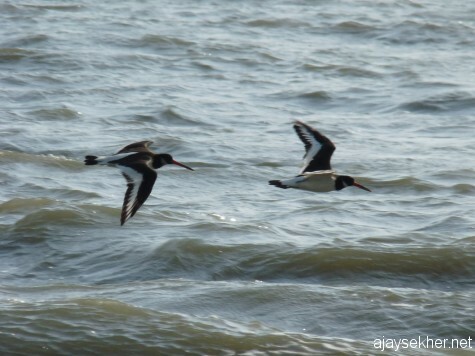 Eurasian Oystercatchers in flight at Chavakad beach this summer. 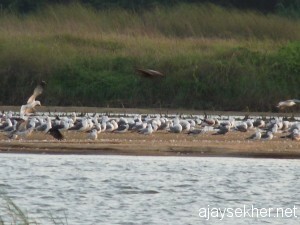 A few small gulls and Lesser Crested Terns are also left in the beach in this advanced summer. Green Shanks and Sand Plovers are also common. I spent a whole afternoon at the beach and it seems that almost all the big gulls and other shorebirds have gone back because of the rising temperatures here. 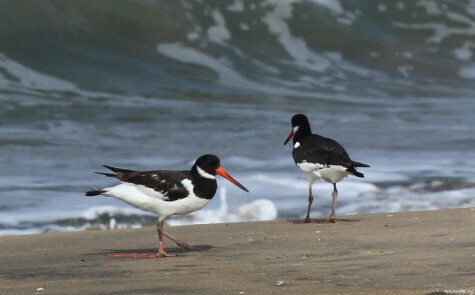 But the Oystercatchers are still lingering and why… perhaps the misery of their fellow is forcing them to stay on this alien shore in extreme heat. 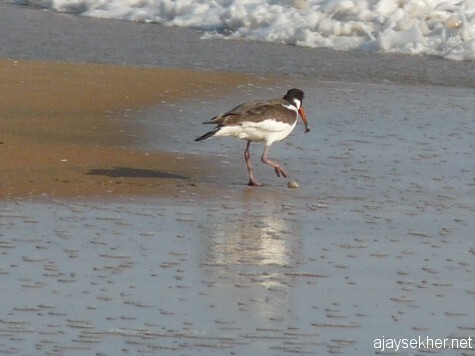 This entry was posted in Eco Watch and tagged Birding in Kerala, Chavakad puthan kadapuram, migratory bird in trap in Kerala, migratory birds in Kerala, migratory birds in peril, Oystercatchers in Kerala, Tiruvatra Kadapuram beach Chavakad on April 24, 2013 by Ajay. 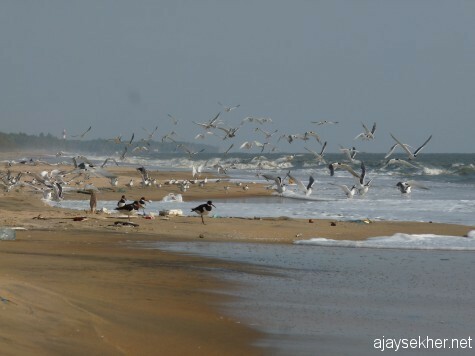 Thousands of gulls have reached the sand flats of river Perar at Kutipuram. I have noticed them first on 18 September 2012 near Manchady Thuruthu at Chembikal a few kilometers down from the bridge towards Thirunavaya from bus. Now the mixed flock has started to move up the river. 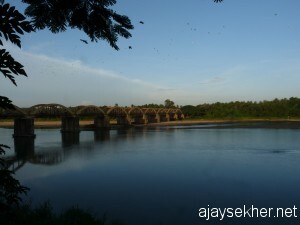 Today evening, 26 September 2012 they were seen just above the Kutipuram bridge near the marked bent in the river. Yellow-legged Gulls and Heuglin’s Gulls are leading in the flock. Small gulls and some terns could also be there. Clear identification is difficult as they are keeping aloof from any sort of human interference. The birds are extremely cautious to rest in distant isolated mud flats at the middle of the big river. The sight is magnificent and soothing. 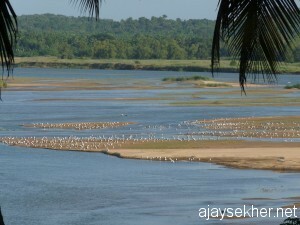 This entry was posted in Eco Watch and tagged Bharathapuzha, birding along the Perar, Birding in Kerala, birding in Malapuram, gulls at Kutipuram, Kol waterbird count 2012, Kutipuram and Pallypuram, Kutipuram bridge, migratory birds in Nila, Perar, Perar and Pakkanar, river Nila, river Perar, Thrikanapuram on September 26, 2012 by Ajay.